Rafael, known in Japan as Raphael is the strongest of Doma's Swordsmen and the most mysterious in his strategy. He is the only swordsman that defeated his target once. He is also the only swordsman not to lose his soul after he was defeated by his target. 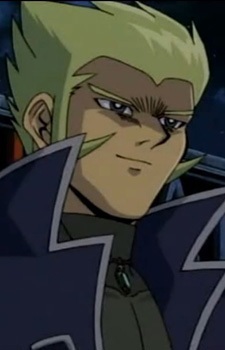 He and Alister were responsible for bringing Rex Raptor and Weevil Underwood to Dartz. He is also one of few characters to ever defeat Yami Yugi in a Duel.